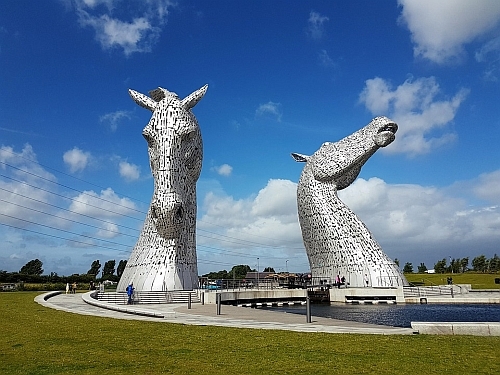 Flights from Halifax to Glasgow, Scotland are available in September and October 2019 for between $358 and $407 CAD roundtrip including taxes, using a combination of Westjet and LoganAir. 1) They are only bookable through one specific booking site, in British Pounds. This can sometimes be a warning sign that the deal isn't really bookable at all. But the price does keep verifying as being accurate. 2) The flights involve a half day, overnight layover in London (from 7:30 PM to about 9:30 AM the next day), during which time you need to transfer from London Southend Airport (SEN) to London Gatwick (LGW). And they are 100km apart! The flights you're looking for are between 204 and 232 GBP roundtrip, which works out to between $358 and $407 CAD roundtrip when booked with a Canadian credit card, including the typical 2.5% foreign exchange fee. This flight on the way there is a non-stop flight from Halifax to Glasgow. And on the way home, you have about 14 hours to check out London and make your way between the two London airports.